Time lapse aerial footage of fog over Julian Alps landscape, misty morning with vapor over Bohinj lake and clouds moving fast over Triglav national park in Slovenia, Europe. 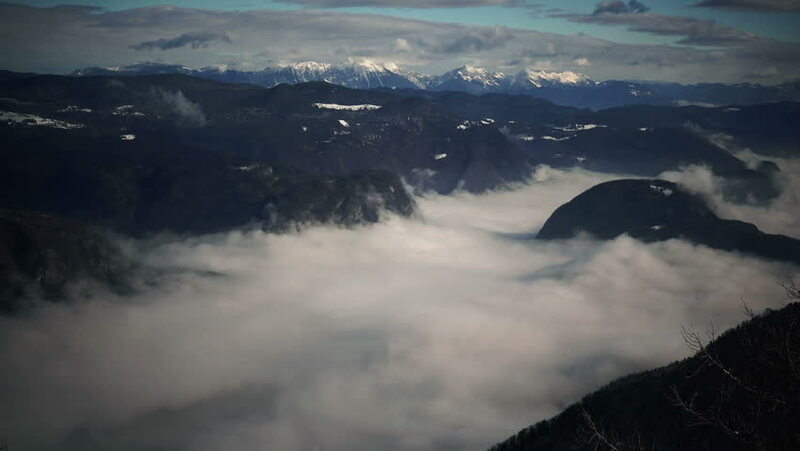 hd00:11Time lapse footage of fog rising over Bohinj lake to surrounding mountains in the winter morning, aerial view from the point above the steam layer. hd00:22Aerial footage of an island in the middle of the ocean. Lushes green jungles and steep mountains make up the terrain. hd00:14HAWAII - CIRCA 2015 - Waves roll into a beach following a big storm in slow motion.